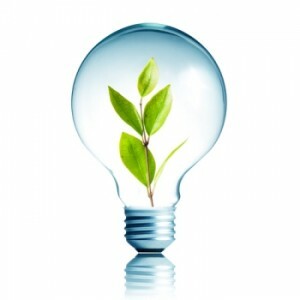 What are the environmental benefits of investing in LED bulbs? Lighting is one of the major areas of energy usage within the home, and LED bulbs finally offer a viable alternative to filament lighting – while still delivering a high standard of light output. Many homeowners have been looking for decent alternatives to traditional incandescent bulbs since they were phased out in the UK three years ago. And some feel that alternatives, such as halogen and fluorescent lamps, fail to match the quality of light – and in the case of fluorescent lamps – take too long to turn on and warm-up. There are also concerns about the efficiency and lifespan of halogen bulbs. 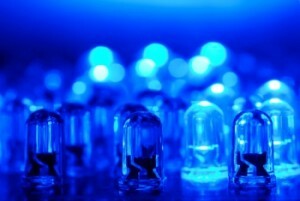 LEDs (or light-emitting diodes) are a form of solid-state lighting that is highly efficient and durable. While incandescent and fluorescent lights consist of filaments in bulbs containing gases, LEDs are made up of small capsules or lenses in which tiny chips are placed on heat-conducting material. While they were originally quite expensive, an increase in their adoption and manufacture has led to a reduction in the cost of LEDs. And when the initial outlay on LED bulbs is considered over the entire lifespan of around 40,000 hours (up to 20 years if moderately used) – as well as the savings made in energy usage – it is really a great investment. Especially when compared to 750 to 2,000 hours for a typical incandescent bulb, and 8,000 to 10,000 hours for an average fluorescent bulb. There are three major reasons that LEDs are more energy efficient. They run far cooler than equivalent bulb technologies (conventional bulbs waste most of their energy as heat), require a lower voltage to create the same amount of light and only omit light in one direction – avoiding light (and therefore energy) being wasted. Most conventional fluorescent light bulbs contain harmful materials like mercury that are dangerous for the environment, whereas LED bulbs are free of toxic chemicals and fully recyclable. 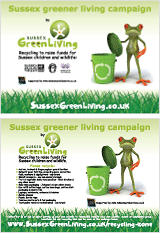 So when you do eventually have to dispose of your bulbs you don’t have to worry about its environmental impact. Added to this is of course the fact that one LED light bulb can save the material and production of 25 incandescent bulbs. This post was provided by LED Lighting Depot.